« Playing with My Food, Again. Bring all components except the tofu to a simmer and then remove from heat. Allow to cool then add to a container with the tofu. Marinate overnight. Right before the meal, remove the tofu and steam for 10-15 minutes to heat through. 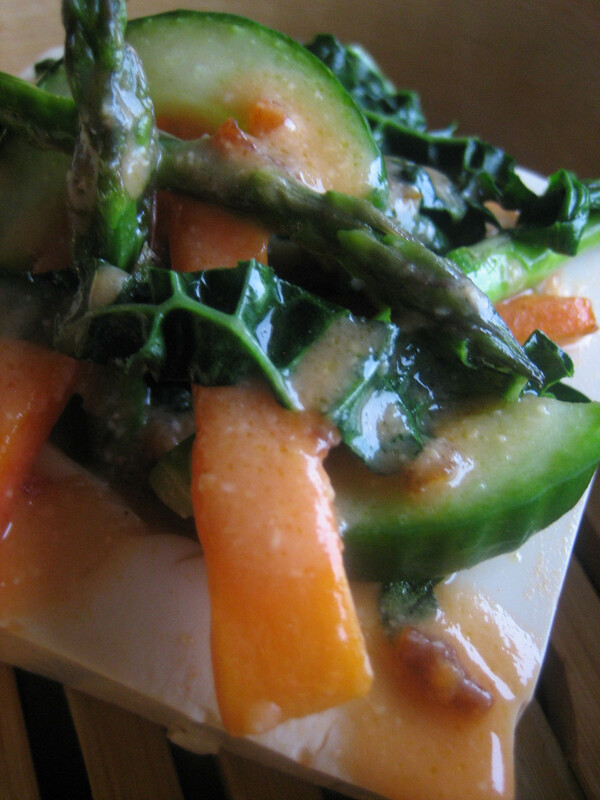 Gently move the tofu to a plate and mound some vegetables on top, finish with a drizzle of the carrot and miso sauce. Garnish with sesame seeds, cilantro, spring onion slices or carrot tops. The vegetables you choose to use are entirely up to you. I used asparagus, cucumber, carrots, bok choy, kale and celery because I had them on hand. The amount is also up to you. Stir-fry in a drizzle of canola oil until cooked yet still crisp in texture. 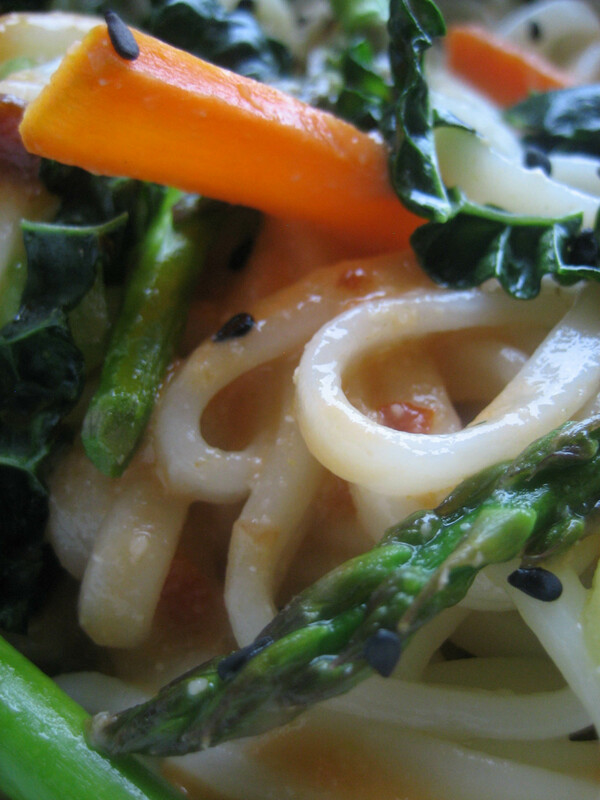 Plate over the tofu or udon noodles [pictured below] and drizzle with the carrot and miso sauce. Garnish with black or white sesame seeds.